Join our exciting, leading edge journey of manifesting in the magical world of quantum physics . Brenda Renee' blends her life experiences, studies and inborn talents with quantum physics and metaphysical techniques to help you manifest your dreams! She invites guests on the show who know a thing or two about energy, metaphysics, and law of attraction! Come enjoy the fun! You can listen in or call with your questions/experiences 515-602-9648. To ask questions, press 1 to be put in the cue. Do you feel trapped by circumstances beyond your control? Do you desire a better life but feel stifled from progress? Have you felt blocked from your long term dreams? Brenda Renee’, of Mystical Empress will teach you new ways of successfully maneuvering your reality and of manifesting your dreams. Unveiling the mystery of life in a 3D world, Brenda Renee will teach you how to creatively work with the energy that builds worlds. Each of us is governed by Quantum Physics energy principles, but most of us are reacting to energy rather than molding it. As we learn the basis for the Laws of the Universe, we can then begin to consciously, deliberately design our lives. In adulthood, we seek positive expressions of material, emotional, and spiritual growth. However, changing life conditions and repeating belief patterns leave us blocked and blinded to alternative solutions and pathways. As energy flows along a certain path, it will create a predictable outcome. Once that energy is redirected, however, a new path opens with different outcomes. By applying quantum shifting, law of attraction & metaphysical techniques, we can learn to remove obstacles and magnetize our dreams! 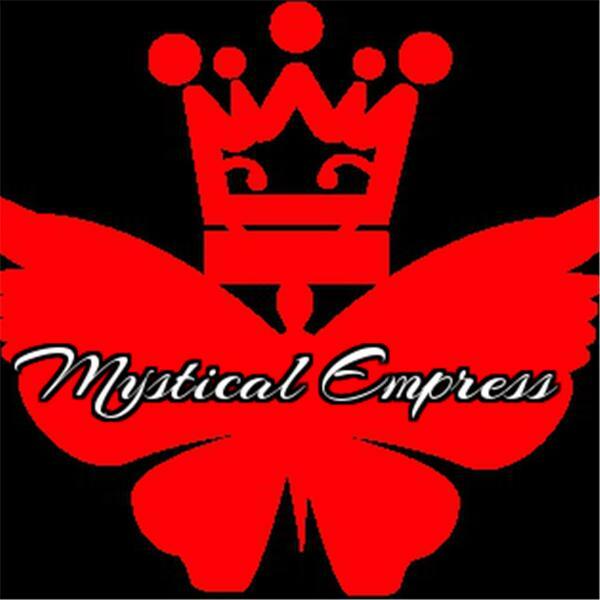 In the Mystical Empress radio show, Brenda Renee’ and her guests will guide you through the multi-faceted world of quantum physics, law of attraction and metaphysical techniques in a practical, easy to understand format.